Font Loader allows you to use web fonts from Typekit, Fonts.com, Fontdeck and Google Fonts in any Koken theme. 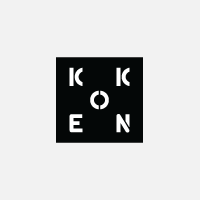 Click the links in the left column for plugin setup instructions, walkthroughs for obtaining fonts from each provider, plus recommendations for how to assign fonts to your site using Koken's built-in CSS editor. Follow these steps to setup the Font Loader plugin. Click the Setup button that appears next to the Font Loader plugin. A new screen will appear displaying inputs for Typekit, Fonts.com, Fontdeck and Google Fonts. Setup instructions for each provider are displayed in the left column. The first step with Fontdeck is to add a website to your account, then add the fonts you want to embed to that site. When you're ready to test things out, click on "Your account" at the top of Fontdeck.com, then click on the website you are using in the "Websites" table. At the top of the next page will be a "Project ID" displayed underneath your website's domain, as shown below. Copy/paste that number into the "Fontdeck" field in the Font Loader plugin's settings. When finished click the Save button. We'll now put our custom web fonts to use. In case you didn't know, web fonts are assigned to text using CSS (cascading style sheets). Koken provides a CSS editor in Site that allows you to append your own styles to any theme. We'll use this editor to apply our custom web fonts. To begin, click Site in Koken's main navigation, then click Custom CSS in the left column. A text editor will appear underneath the draft preview.